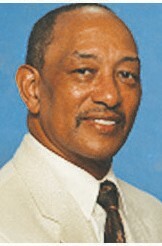 Dr. Phillip W. Cooper, Jr. The Christian League of Players Award Banquet is scheduled for Saturday, June 30, 2018 at 4:00 P.M. The banquet will be held at Kingdom Life Christian Fellowship, 425 Montgomery Crossroad, Savannah. The speaker will be Dr. Phillip W. Cooper, Jr.
Dr. Cooper is a native Savannahian, a local dentist, a family man, and a basketball enthusiast. He received his Doctor of Dental Surgery degree from Meharry Medical College and has practiced dentistry in Savannah since 1975 and orthodontics since 2001. He serves as Chairman of the Board of Directors, San Francisco, California, Midnight Basketball Leagues, Incorporated and Member of the Board of Directors, New York, New York, American Academy of Physiological Medicine and Dentistry. He holds professional memberships in a number of Associations, has received several recognitions, and served in many volunteer capacities locally and mission trips to Africa. At this banquet the church league basketball participants will be recognized and the winning teams presented awards. This is the third year of the Christian League of Players operation and the second awards banquet. Seven churches are currently participating in the League. The Christian League of Players (Church League) was founded in 2015 as a non-profit organization designed to attract youth through sports supplemented with academic tutorials and entrepreneurial opportunities. By using sports as a tool, the ultimate goal is to incorporate training for future opportunities spiritually, educationally and physically that will result in transforming youth, who in turn will positively transform their communities, city and world. Other activities being offered by the Christian League of Players are a tennis camp, a basketball camp, and a partnership with Royce Learning Center for tutorial services. Donation for the banquet is $10.00 and the public is invited to attend and support this worthy event. Contact Mrs. Mary J. Fletcher at mjfletcher@gmail.com or (912) 308- 8399 for tickets or for more information about The Christian League of Players.